Seoul appears to have lost its status as a city with over 10 million people in the near future, as it has witnessed a constant decrease in population recently. The number of households was 4,182,000 in 2013, up slightly from the previous year, but the average number of people living in those houses decreased from 5.47 in 1960 to 2.43 in 2013. The city government noted that a low birth rate and an increasing number of single families might have played an important role in that figure. In fact, a low birth rate is not a new issue in South Korea, with one recent report causing a stir when it suggested that South Koreans might become “extinct” by 2750 given the nation’s current low birth rate. 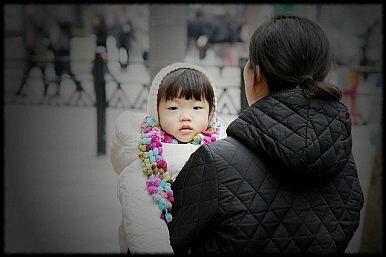 South Korea has one of the lowest birth rates in the world, at 1.3 children per woman. This is lower than the birthrate in China, which had a one-child policy, and Japan. Yang’s report was based on a simulation by the parliamentary research service, which concluded that Seoul will see its last citizen in 2505. Seoul has a fertility rate of 0.968 child per woman. The South Korean government has recently begun to devote considerable effort to encouraging a higher birthrate. For example, it has lowered tuition fees for private universities, which discourage people from having more than one child because it represents a huge part of household spending as well as increasing overall childcare expenses. However, there is still criticism that the government’s policies only focus on helping people after birth, so that it has very little effect on increasing the birthrate itself. Jeon Soo-ho, a team leader of the Seoul government’s Women and Family Policy Department, said there are many interconnected issues when it comes to Seoul’s low birth rate, such as childcare, education and housing policy. “Seoul city is trying its best to encourage people to have more children, but we still need serious help from the government,” said Jeon. South Korea’s population is aging fast, and even Korean unification won’t be enough to fix it.